Two Dogs Designs patio covers offer excellent quality protection for your outdoor patio and barbecue needs at great prices. These durable covers come in khaki and are made of heavyweight polyester with double stitching, thick PVC lining, and Velcro tabs/ties to help you protect your investment. The covers are offered for regular and oversized furniture, grills and smokers, fire pits, patio heaters, fountains and log racks to help you create a unified look for your outdoor living area. 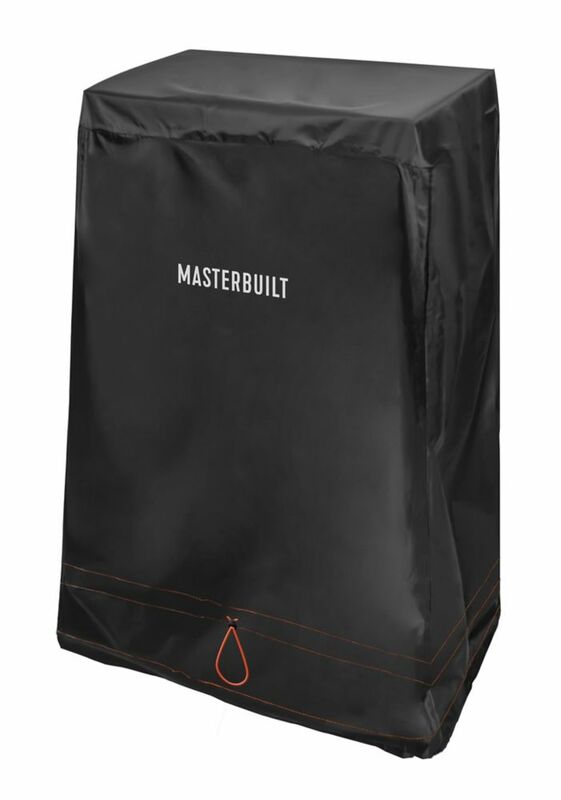 38-inch Propane Smoker Cover is rated 3.9 out of 5 by 13. Rated 1 out of 5 by Cat from This cover offers no protection from the rain if it is stored outside. The first time my smoker ... This cover offers no protection from the rain if it is stored outside. The first time my smoker was exposed to the rain, the inside cover lining was soaking wet. The rain went right through it. The smoker was wet as well. The inexpensive price was the motivation for me purchasing it, but after it offered no protection from the rain, I spent a few more dollars on a rival grill cover that worked great. If it is stored inside in a garage or utility room it would be a great dust cover but nothing more. Rated 1 out of 5 by Cat from The cover is no good at all if it rains. The cover provided no protection at all. The rain went... The cover is no good at all if it rains. The cover provided no protection at all. The rain went right through it and the smoke got soaked. Rated 4 out of 5 by MRR from Four starts instead of five because it works so well... Four starts instead of five because it works so well that it is difficult to keep the temp very low. Rated 5 out of 5 by spryfield from Great chimney cover. I bought this as a cover for an unused brick chimney..fits like a glove..so far (1 month) it has kept the rain and snow out!